Autism was a spectrum of multiple complex diseases that required an interdisciplinary group of experts to make a diagnostic decision. Both genetic and environmental factors play essential roles in causing the onset of Autism. Therefore, this study hypothesized that methylomic biomarkers may facilitate the accurate Autism detection. A comprehensive series of biomarker detection algorithms were utilized to find the best methylomic biomarkers for the Autism detection using the methylomic data of the peripheral blood samples. The best model achieved 99.70% in accuracy with 678 methylomic biomarkers and a tenfold cross validation strategy. Some of the methylomic biomarkers were experimentally confirmed to be associated with the onset or development of Autism. The online version of this article ( https://doi.org/10.1007/s12539-019-00328-9) contains supplementary material, which is available to authorized users. 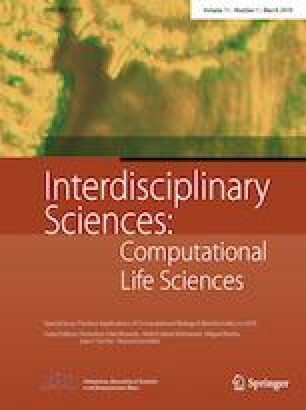 This work was supported by the Strategic Priority Research Program of the Chinese Academy of Sciences (XDB13040400), Jilin Provincial Key Laboratory of Big Data Intelligent Computing (20180622002JC), the Education Department of Jilin Province (JJKH20180145KJ), and the start-up grant of the Jilin University. This work was also partially supported by the Bioknow MedAI Institute (BMCPP-2018-001), and the High Performance Computing Center of Jilin University, China. The constructive comments from the two anonymous reviewers were greatly appreciated.